whom we own half of along with Murphy’s Angus. She was raised by one of our per-bred Simmental receipt cows. When I was breaking her, she was at first bit skittish, but after all the consent haltering, walking and washing she finally broke. NAILE was Steel Magnolia’s first cattle show she’s been to. 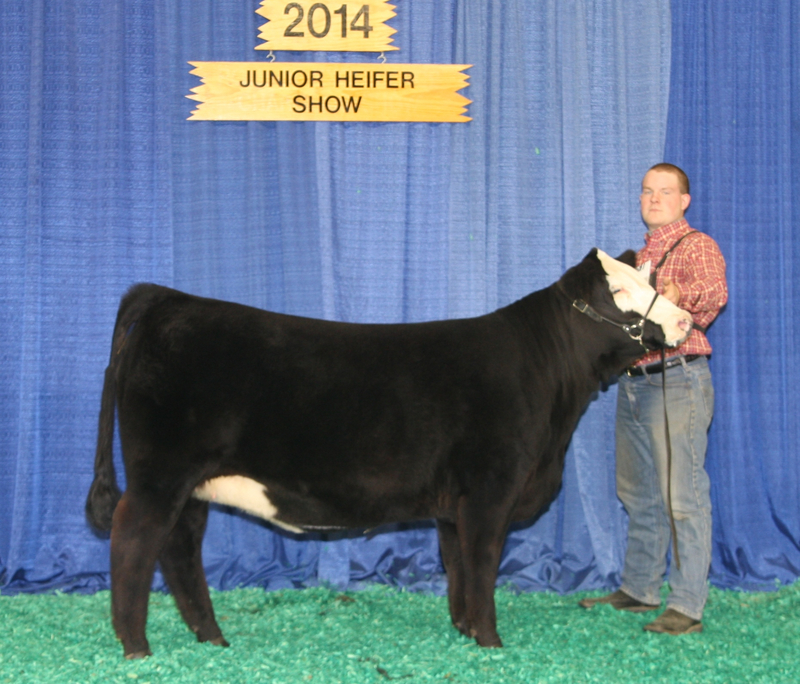 We also took another heifer of ours to Louisville, she was a purebred Simmental out of Hook’s Shear Force. Steel Magnolia didn’t take the first day there very well, but she got over it. The day before the show we walked her from the junior building, past the west entrance to the Murphy’s trailer, so Alec Murphy could trim on her. We had her ready an hour before she showed,so we just walked her around and set her up a time or two. The Haddens also had a full sister to Steel Magnolia in the same class. The class consisted of seven heifers total and I led the class fallowed by Cody Hadden. The judge place Steel Magnolia first, because she was easiest on the move then another heifer in the class, along with other things like depth of body and over all great shape. Steel Magnolia had to be one of my favorite heifers I’d ever shown.